With a view to achieving “electricity for all by 2019,” the government has set an ambitious target of attracting 15 Lacs crore ($250 billion) investment in the power sector in the next 4-5 years, Power and Coal Minister Piyush Goyal said on Thursday.The investments as envisaged would help sectors like power generation, coal mining, electricity distribution and transmission. This would also help the government increase power generation and ensure electricity to every household by 2019, Goyal said in his address at the India Economic Summit, organized by the Geneva-based World Economic Forum and Indian industry chamber CII. Renewable or clean energy is among the thrust areas in the power sector. Goyal said the government was keen to increase its generation capacity in the renewable sector to 1,00,000 MW by 2022 from a paltry 31,833.01 MW installed capacity now. The minister had earlier said domestic solar equipment manufacturing capacity of 700-800 MW is not sufficient to meet the government's ambitious plans of adding more power generation capacity through renewable energy sources. The country's current installed solar capacity exceeds 2,600 MW. 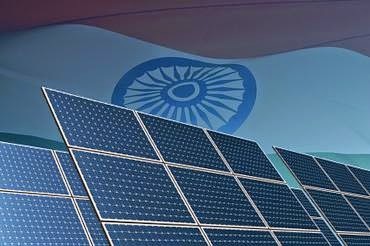 Earlier in May, the Ministry of Commerce under the UPA regime had recommended imposing a restrictive duty in the range of $0.11-0.81 per watt on solar cells imported from the US, China, Malaysia and Chinese Taipei in a move to protect the struggling domestic industry. The recommendations were against the backdrop of US dragging India to the WTO (World Trade Organization) with respect to domestic sourcing norms for the national solar mission. The Indian government is hoping to get significant foreign investment into the renewable energy sector, and the power sector as a whole. The Ministry of New and Renewable Energy (MNRE) will organize India’s first global renewable energy investors summit in February next year. The government hopes to secure investment worth billions of dollars from international companies during the summit.“We are expecting around $250 billion investments in the next four to five years... About $100 billion will be in the renewable energy,” he said.As fuel linkages have been a major stumbling block for augmentation of power generation, Goyal said efforts are on to augment fuel supply to achieve the target. Coal India is expected to double its production to around one billion tonnes by 2019, he said. “Efforts are also being made to increase coal production, strengthen transmission network and get back gas-based power plants on stream.”“India's total power consumption would double to 2 trillion units by 2019 and majority of investments would come from the private sector although the government would also invest more.“The country's power transmission sector alone is hoping for investhe tment of around $50 billion during this period,” he said adding efforts are also on to improve the bankability of power projects. The thorny issues power sector is facing include getting clearances, poor financial health of discoms, coal and gas shortages. In the renewable space, the government expects to nearly double the installed wind generation capacity to more than 40,000 MW by 2019, Goyal said, adding that the government is pursuing the strategy of improving the utilization of existing assets and freeing up stranded assets.